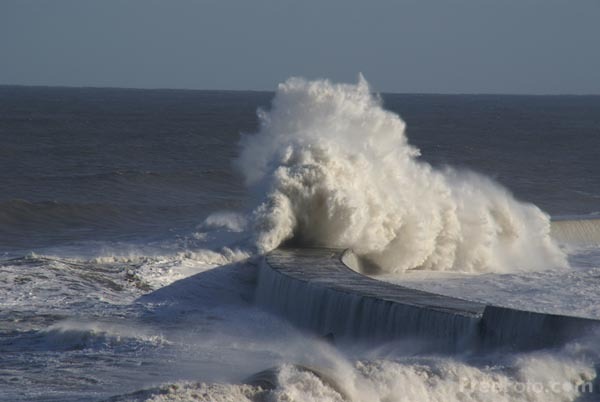 Picture of Giant waves on the seafront at Seaham, County Durham. A strong tidal surge in the North Sea resulted in a higher than normal high tides. A combination of strong winds, extremely low pressure and a storm surge can raise the sea level around eastern England by an additional 2 meters. VIEW: More images from the category Rough Seas or taken at the same location or around the same time .